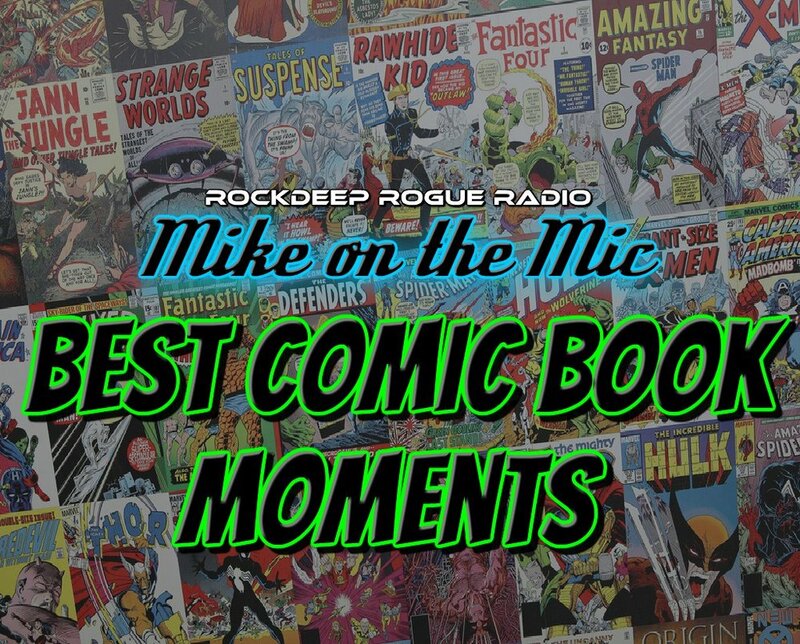 Mike is joined by GGR co-founder Steve Monnich, ROCKDEEP ROGUE RADIO broadcaster MC Brooks and artist James Rambo to discuss their favorite comic book moments. Towards the end of the episode, the "council" discusses fast food restaurants and delicious food. Recorded June 8th 2018 at the FXBG Public Radio Studios.